The president of the College Board, David Coleman, announced today that the College Board will push back the release of the new SAT one full year – until Spring of 2016. 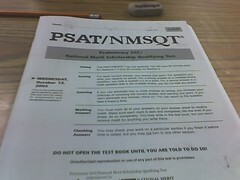 The preview PSAT will be offered in October of 2015. The new SAT will be released in March of 2016.